Would you rather eat your chocolate, or drink it? What do you picture when you hear the word chocolate? A candy bar? A box of bonbons? An Easter bunny? When we think about chocolate, we probably think of eating it, not drinking it. And we would describe its taste as sweet. But chocolate was a drink for most of its long history. And no one would have called it sweet. "Its the best-known food that nobody knows anything about," says Alexandra Leaf. She calls herself a "chocolate educator. She runs a business called Chocolate Tours of New York City. The food we call chocolate is made from a plant called cacao. The word "chocolate" probably comes from the Aztec word xocoatl." This was a bitter drink made from cacao beans. Many historians estimate that chocolate has been around for 2,000 years or longer. We don't know exactly when people first ate or drank chocolate. But it's clear that it was prized from the start. For several centuries in Latin America, cacao beans were valuable enough to use as money. According to a 16th-century Aztec document, people could trade one bean for a tamale. And 100 beans could buy a good turkey hen. Both the Mayans and Aztecs believed the cacao bean had magical qualities. Sweetened chocolate didn't appear until Europeans discovered the Americas. They tasted the native food and drink. According to legend, the Aztec king held a feast for the Spanish explorers. It included chocolate drinks. By the 1600s, chocolate was drunk throughout Europe. It was believed to be healthy for people. But only the rich could afford it until the late 1700s, when it became mass-produced. In 1828, a Dutch chemist found a way to make powdered chocolate. The first chocolate bar was created in 1847. By 1868, the Cadbury was selling chocolate candies throughout England. In America, chocolate was valued during the Revolutionary War. It was included in soldiers' meals and used as wages. Today the U.S. chocolate manufacturing industry earns more than $4 billion. 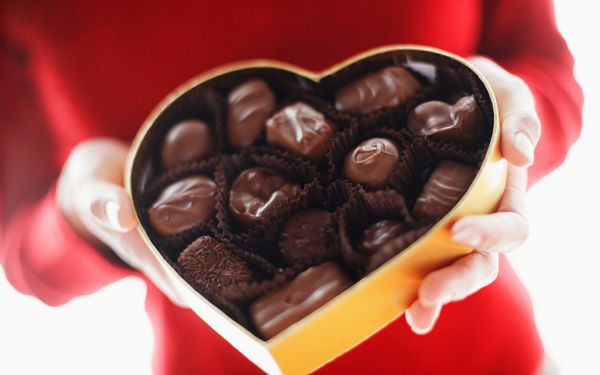 The average American eats at least half a pound of chocolate each month. In the 1900s, the word "chocolate" began to include less expensive treats. They contained more sugar and other ingredients than cacao. But more recently, there's been a "chocolate revolution," Leaf says. 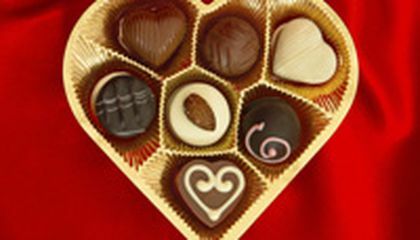 People are more interested in high-quality, handmade chocolates. Major corporations like Hershey's have expanded their chocolate lines. They have bought smaller producers known for high-quality chocolates. Examples include Scharffen Berger and Dagoba. Meanwhile, independent chocolate companies continue to flourish as well. "I see more and more Americans doing incredible things with chocolate," Leaf says. "Although, I admit that I tend to look at the world through cocoa-tinted glasses." Critical thinking challenge: How did mass production allow more people to enjoy chocolate? The first chocolate bar was made in 1847. I did not know how much people around the world. I also people drink pure chocolate. I think I would rather eat chocolate because if you drink chocolate it's not as sweet as it is when you eat it. I would rather drink chocolate because hot chocolate is the best drink I ever it 'hot and chocolately and I love drinking it so much. i think that i rather eat choclet because if you drank it you could not drink it out of a strew because it would be hard like ragler drink would . But if you had choclet like the ones that are hard you could eat it with your hand because it dose not make a mess but a drink would . I would rather eat chocolate because I think eating chocolate is better I think drinking chocolate would be gross. I agree I would rather eat chocolate instead of drinking chocolate. I did't know that cocao beans were used to buying things!For 100 beans some people buyed tureky hen?I don't want to drink the not sweet chocolate I want the sweet! I want sweet to but there is a sweet drink that is called hot chocolate you might want to try it. I would rather drink chocolate then eat it because if you drink it the bitter taste will go away faster but if you eat it the bitter taste will go all over your mouth and might git stuck in you teeth.